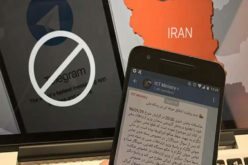 CHRI – A new move by the Apple Corporation aimed at protecting user data has resulted in Iranian apps becoming unusable on the iOS mobile operating system as of February 27, 2019, for some 9 million users. PayvandNews – Out of the total number of 4,070 knowledge-based companies working in Iran, about 400 companies are established and being managed by women, Zeinab Hamidzadeh presidential advisor for science and technology said here on Sunday. Radiofarda – While the parliament weighs President Hassan Rouhani’s budget for the new Iranian year (beginning March 21), senior officials at the Atomic Energy Organization of Iran (AEOI) have complained of the “minimal” budget allocated to the Bushehr nuclear power plant. RFL/RE – Iran has test-fired a cruise missile from a submarine during annual naval exercises near the Strait of Hormuz, according to state media. Radiofarda – The New York Times reported on February 18 that U.S. government agencies and some companies have been the target of aggressive Iranian and Chinese cyber-attacks recently. Al-Monitor – To address the shortage of jobs in the country, Iran’s government has banked on the thriving technology sector. Yet, despite the alarming unemployment rate, fledgling service sector startups have difficulties with hiring unskilled workers. In this regard, traditional mentalities and new working conditions should be blamed.